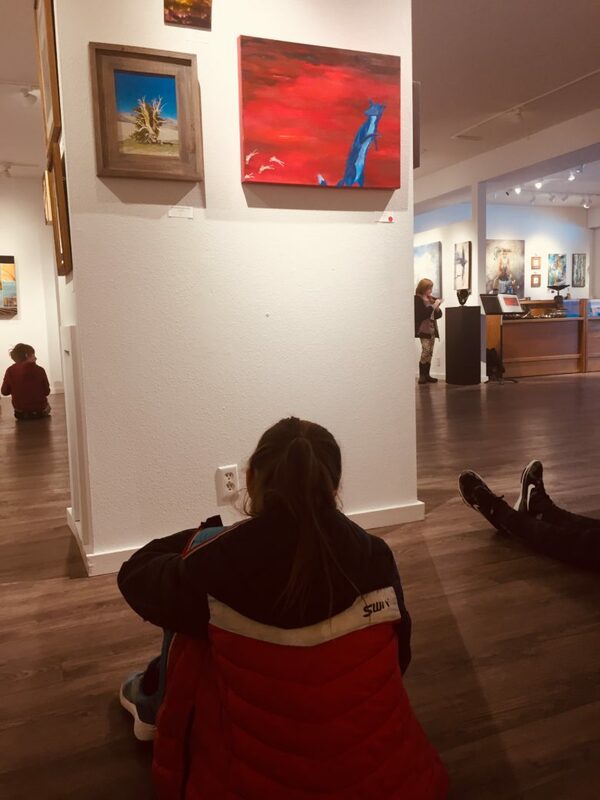 If you’ve ever read an essay inspired by a painting, or listened to a song prompted by a poem, or watched a dance influenced by a sculpture, then you’ve experienced ekphrasis. 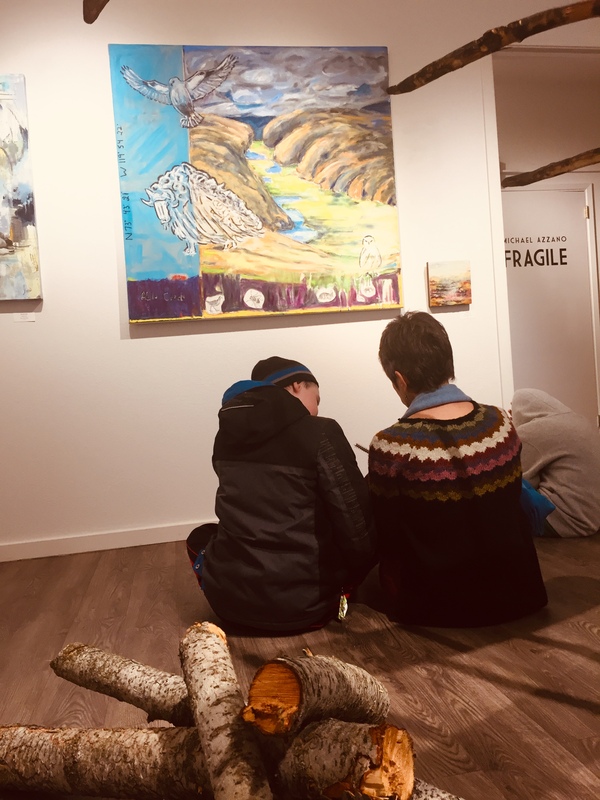 Ekphrasis is the practice of exploring a piece of art through the lens of a different medium, to help share the emotional content and experience of an object or piece of art with someone who has never encountered it. 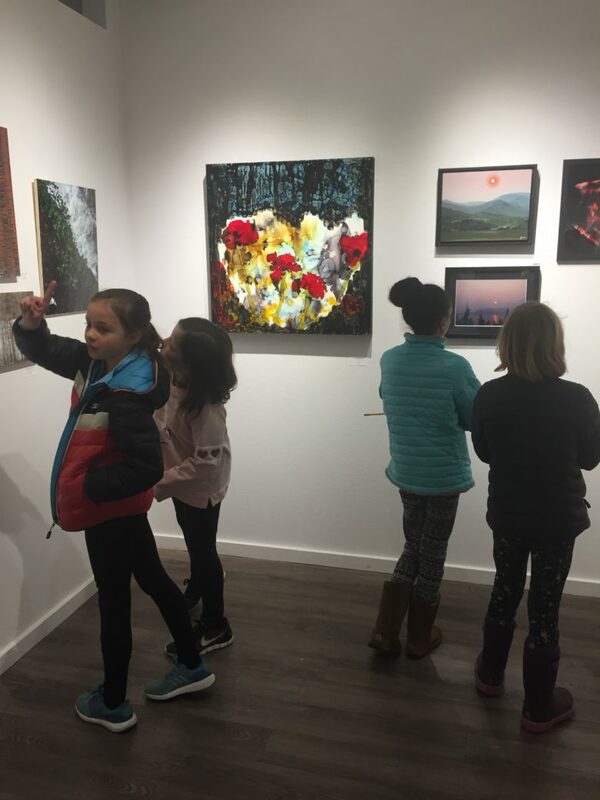 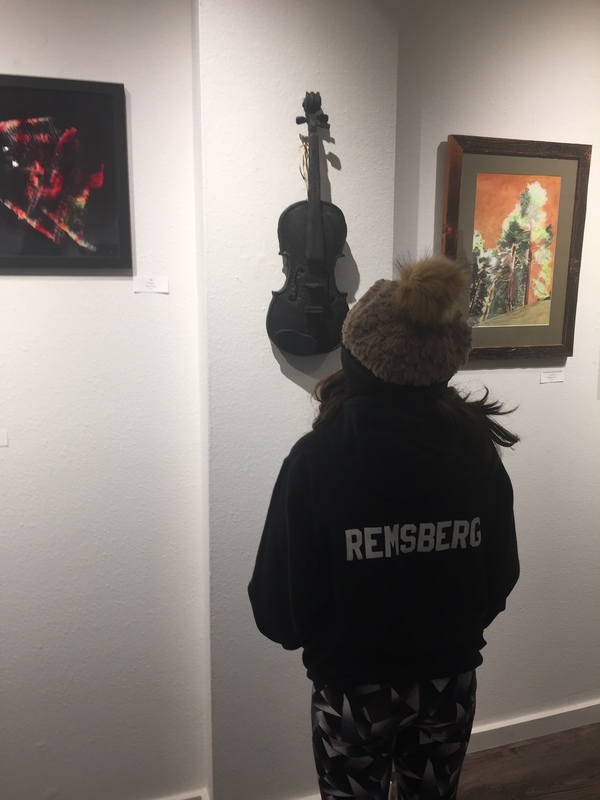 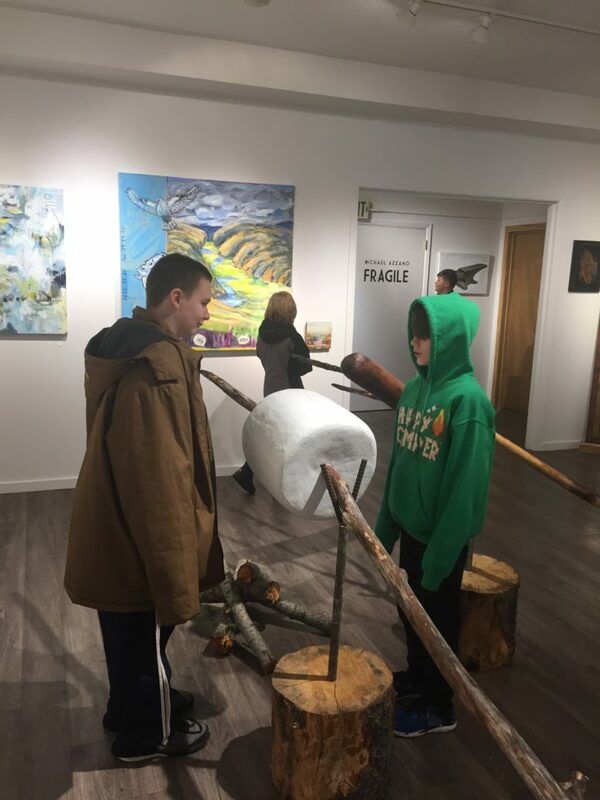 Methow Valley fifth graders had the opportunity to explore ekphrastic writing in conjunction with a recent field trip to the Confluence Gallery & Art Center. 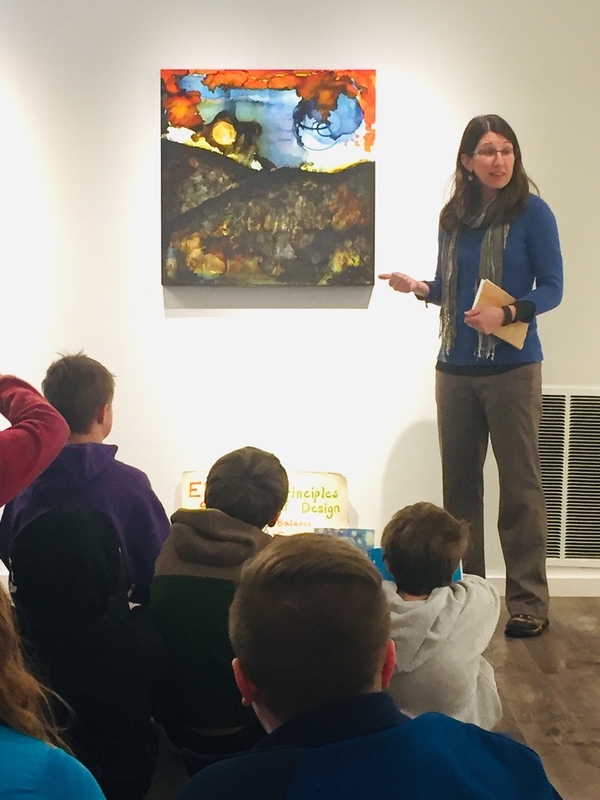 Upon arriving at the gallery, students were welcomed by Executive Director Sarah Jo Lightner, who told them about Confluence’s mission, as well as introducing them to the current exhibit–“Weathering Change”–and explaining the process for getting art accepted into a show. 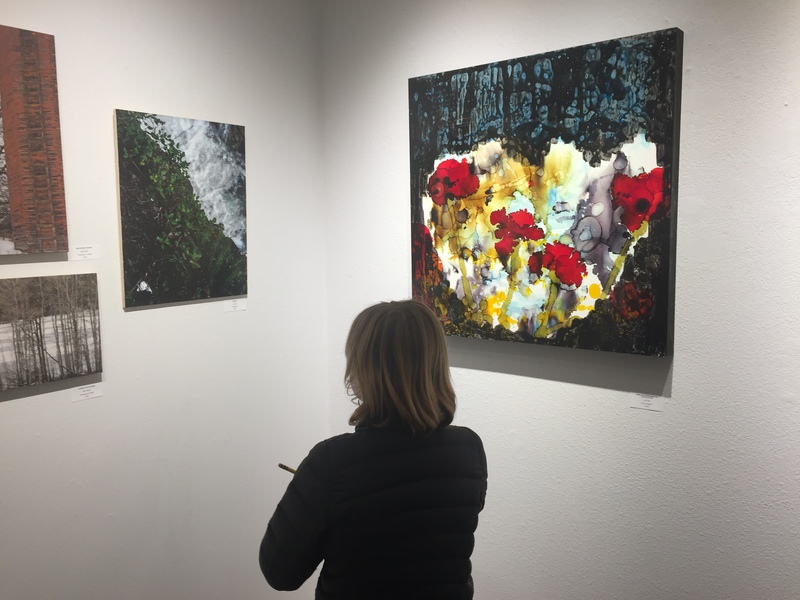 Painter and teaching artist Margaret Kingston then took over, examining four different pieces of work in the show. 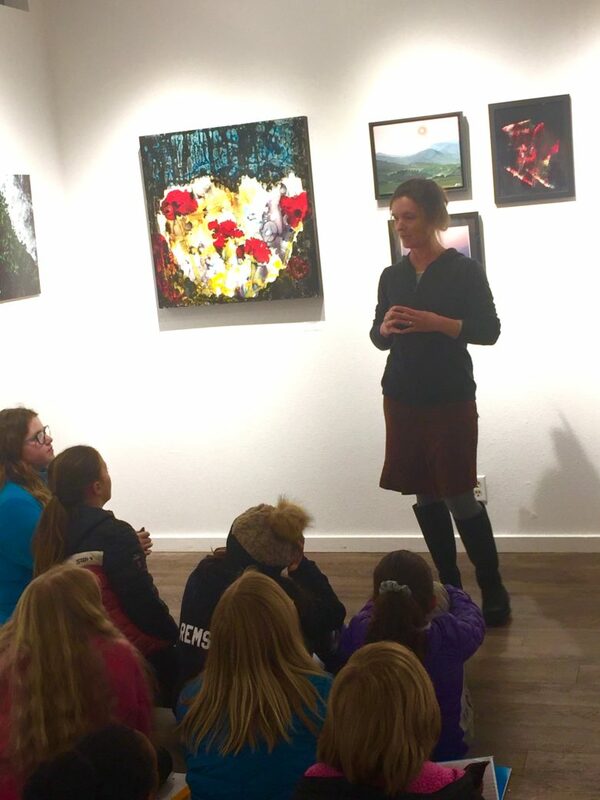 Margaret discussed color, use of texture, and the artists’ perspectives on their work. 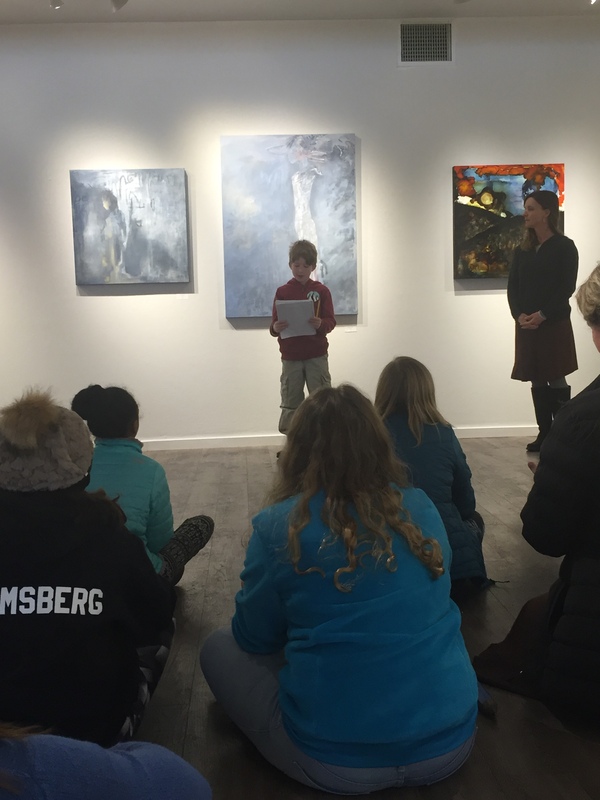 To wrap up, students shared their poems aloud with the rest of the class. 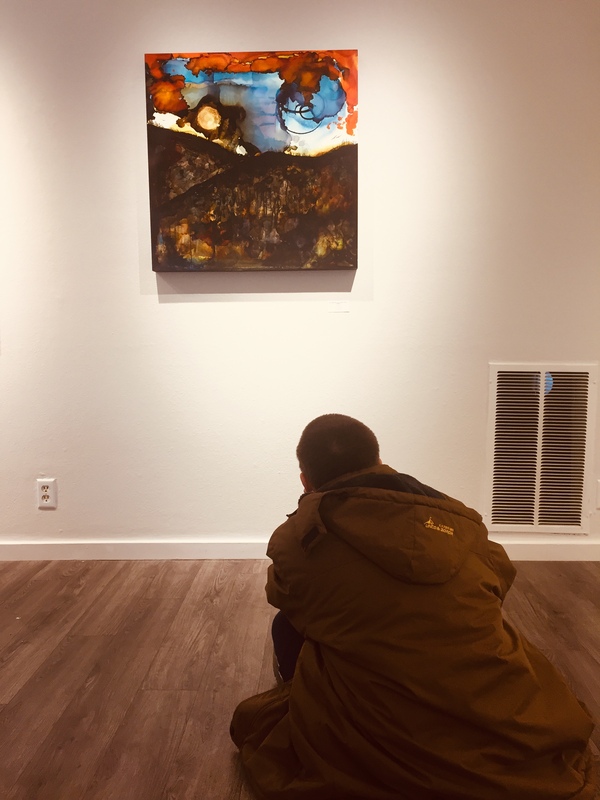 Click HERE to watch Emmet Bondi read his poem.